Save money! Compare prescription drug prices for 1,000+ medications. You'll also see online pharmacy ratings and shipping fees so you can compare total costs. Program benefits and eligibility varies by state. Need help with the Medicare Maze? to help understand Medicare coverage, payments and Medigap Insurance options. Note: Toll free numbers often work only from within the state. Because of old age, mental or physical illness, or injury, some people find themselves in need of help with eating, bathing, dressing, and other physical activities. Long-term care insurance can help pay for such care in the future. To help protect your financial independence, as you grow older, many Long Term Care Insurance providers have plans that offer comprehensive benefits as well as a proven track record of claims payments and financial stability. You should review all your options carefully. Annuities Why look into annuities? If you're a Baby Boomer with little or no pension and most of your money in low-interest savings accounts, an annuity may be the key to a secure and comfortable retirement. How can you find out whether an annuity is right for you? Read . The type of care that may be administered ONLY BY A NURSING HOME near you, is defined by state regulations. Generally "medical procedures" and assistive acts requiring a nurse to physically "handle" a patient are limited to nursing home providers, when not in a hospital. Changing bandages deep wounds is often only permitted in Nursing Homes as is turning a patient in bed, who cannot turn themselves. Make sure you have the information you need to protect your memories, money, and belongings from moving problems. The best defense against moving difficulties is to be informed and aware of your options when choosing a reputable mover. While most household moves go smoothly, there are many pitfalls that you should be aware of. It can also be stressful, even under the best of circumstances. Use the checklist here to help guide you through the moving venture. The estimate should clearly describe, in writing, all charges for services the mover will perform. Make sure the estimate is signed by the mover. The bill of lading is a contract between you and the mover and a receipt of your belongings. You should be given a partially completed copy of the bill of lading before the mover leaves the residence at origin. To resovle moving issues, contact your state regulartory agency below. Your retirement planning should be based on understanding the options associated with Assisted living. As part of a retirement plan these options combine housing, support services and health care, as needed. Assisted living is a retirement service for individuals who require assistance with everyday activities such as meals, medication management or assistance, bathing, dressing and transportation. Some residents may have memory disorders including Alzheimer's, or they may need help with mobility, incontinence or other challenges of senior life. Residents are assessed to determine the level of service they may need. These retirement services generally include: 24/7 supervision, 3 meals a day, housekeeping, transportation, minor medical attention, personal care assistance, security and emergency call, exercise programs, social and educational activities. In addition some Assisted living communities may provide: gardens, libraries, and chapels. Assisted living communities are operated by both profit and non-profit organizations. Pricing can range from $1000 to over $4,000 per month based on your location. There may be extra fees for special services. Learn more about Assisted Living Communities here. Whenever possible your inquiry goes to a Specialist trained to work with seniors from over 800 such specialists in our International referral network. Having a Professional Specialist contact you, is just a click away! Fill out the inquiry form and we do the rest. You may choose to spend your golden years in a community designed especially for mature adults. Senior living facilities come in many sizes and shapes. Senior apartments are one such chose. A Senior Apartment allows you to take advantage of many amenities and personalized services without having to maintain a house and yard. Senior apartments should be a consideration for older adults that can take care of themselves. Aside from age-restrictions these apartments are usually developed the same as standard apartments. Some of these apartments are also equipped with items such as hand rails and pull cords to make getting around and living easier. Also these apartments provide a community of elderly neighbors without the hassles of a larger home to manage. 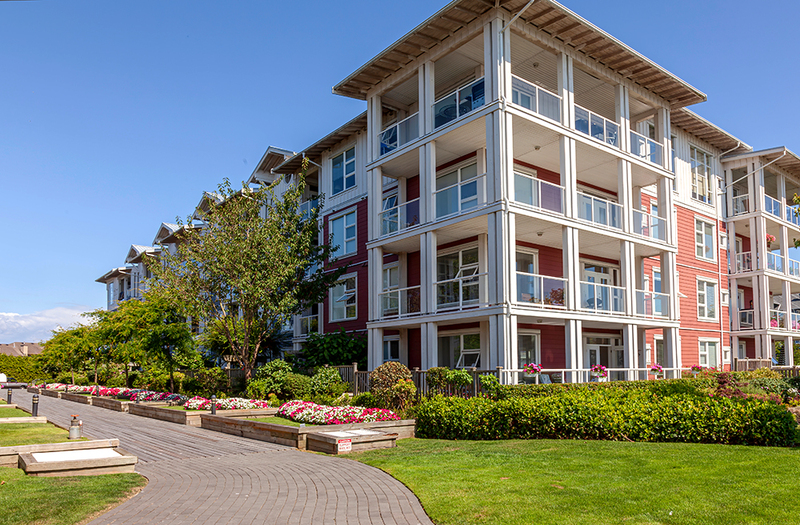 Properties can vary in terms of services but typically offer apartment living and services designed specifically for independent active seniors 55 and older. Since many of these residences are designed for active seniors, most do not offer meal service, housekeeping or medical services. Senior apartment complexes are usually located near senior centers, parks, shopping malls, golf courses and public transportation. Some provide van services to nearby shopping and needed services. Want to inquire about a subscription? "Aging in place" is growing older without having to move. Aging in place with supportive services is one of the most desirable ways of aging. Aging in place can achieve efficiencies enabled by the customized care. Successful aging in place approaches focus on the provision of the most appropriate care for the specific individual. Thus avoiding wasted costs brought on by a "generic" care model. An aging in place scenario, creates housing and health care options to provide support as defined by an individualís wishes and efforts to live independently. Aging in place can work best when it is employed as a part of a comprehensive plan for retirement and aging. A key step in implementing aging in place is to make your home aging friendly. As we age we don't hear so well, we sometimes forget or get confused and we can even outlive doctor's predictions about our longevity. So as long as we persist in growing older, why not arrange our homes to accommodate our reality. Incorporate memory triggers into the way we arrange cabinets and counters, add soft fabrics to muffle background noises, change appliances to better accommodate our short-comings. Here is a book to help you make your homes senior-friendly. by Barbara Krueger and Nika Stewart is a good place to start.With the book as a guide you can plan ahead for years before you critically need the advantages offered by the ideas in the book. If you want to learn more visit our Aging in place section . Once you have an idea of the changes needed in the home, it is time to discuss the changes with a contractor/builder in your area. Below is a list of of such providers in your area. A FHA guaranteed Reverse Mortgage program enables older homeowners (62+) to 'borrow back' a portion of the equity in their home and convert it into cash while remaining in their home for as long as they want. They remain on title and do NOT have to make any loan payments for as long as they continue to live in the home and it remains their primary residence. When the last borrower sells, moves out or passes away, the loan becomes due. This enables many senior homeowners to age in place. Find a wide range of other Senior Finance information here. Insurance regulations differ from state to state. Need help with an insurance company provider? Want to know who writes Medigap insurance in your state? For further information Washington Department of Revenue.